Cave Story - Boss Rush! The last post in this thread is over 60 days old. Posting in this thread will be considered a bump, so please make an attempt to be courteous if you go ahead with it. If the last post is over 6 months old, it may instead be a better idea to start a new topic. If you aren't sure about what to do, feel free to ask a staff member for help, or try to locate a 'general questions'-type thread if it exists in this (sub-)forum. "This is the greatest handgun ever made! You have to ask yourself, do I feel lucky?" I present to you all my second mod ever, a boss rush with a "plot". Take of that what you will. This mod is pretty much done; no further releases will happen, excluding bugfixes. Downloads are available here, in the "CS Boss Rush" folder. Removed delay from Life Capsule dialog in Capsule Breaker (I removed the fanfare but forgot to remove the delay for the fanfare ). Nemesis Capsule now becomes Blade Capsule on use, which allows you to trade the Nemesis back for the Blade. The Blade Capsule becomes the Nemesis Capsule again after trading. Fixed a name in the readme. Changed capsule graphics a bit. Reduced empty space in some maps. The chest in Balrog's Place now gives the Replica Star (AKA the Polar Star) instead of the Nemesis. Getting HP from the Capsule Breaker now takes less time (skips over fanfare). Fixed a name in the credits. New/Load menu options are now in their vanilla positions. WARNING: Saves from previous versions in the Preparation Room won't work in this version (you'd load inside the floor)! Fixed end area inexplicably turning from night to day. Fixed Igor not showing up correctly. Fixed endless loop in Undead Core. Made the Blade look more mysterious (I.E. not King). A fix only someone with OCD would notice. The Turbocharge and Whimsical Star can now be obtained! Multiple saves (from Noxid's "open-source" hacks)! 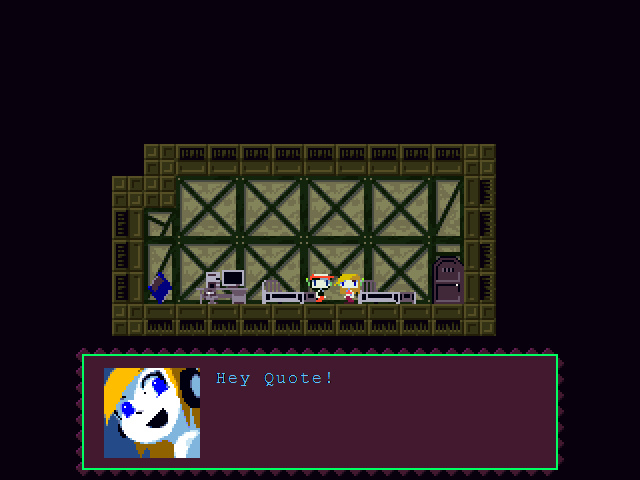 Just some Cave Story modder. Cave Story++ - My first ever mod. Not much to see here. Boss Rush! - My second mod. As the name implies, it's a boss rush mod. How 2 Mod: Cave Story - A tutorial on how to mod Cave Story... in the form of a Cave Story mod! 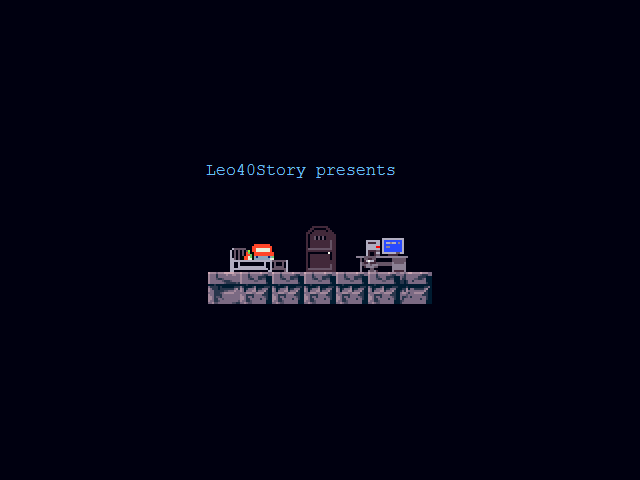 New Story - A new story, with the same characters. CaveSaveEdit - A save editor for Cave Story, complete with mod support. OOB Flag Generator - A utility for generating TSC that sets values in memory using OOB flags. OrgAdder - Allows adding, removing and editing of ORGs easily. "Man, if only I had an apple..."
Location: the back of their own hand. If you save in the room with the Polar Capsule and whatever and reload you get trapped because the H/V trigger causing the block-door to open isn't present. My name is pronounced like zix-in (zɪksˈn), and spelled with a lowercase z.
names are pronounced and spelled as the ones who hold them say them to be. "Heavy swords for sale. Suitable for most RPG Protagonists. Apply now!" I was finished with facing Ironhead, and the You Got the Booster 2.0 message keeps popping up, softlocking me from continuing the boss rush! "Wow! The more I drink of this magical beverage, the more games I can play! Wheee!" I was playing the new version. If you talk to Sue after the Misery fight she will act as an XP shower. Is that a glitch? Also I fought the twins whitout spur and booster. How do I get it? If you talk to Sue after the Misery fight she will act as an XP shower. Is that a glitch? This will be fixed in 1.41, which I am working on as of now. EDIT: I wasn't able to reproduce this bug. What did you do to cause it? Also I fought the twins whitout spur and booster. How do I get it? If you upgraded the Polar Star to the Machine Gun or combined it into the Snake, you won't be able to get the Spur. As for the Booster... Wait, you mean you have neither v0.8 nor v2.0? If you didn't accept the Booster v0.8, you're supposed to get v2.0 after Ironhead. To get the other weapons, accept the capsule when it's offered (all capsules are only offered once!) and take it to the Capsule Breaker. You still haven't explained not having the Booster at the Twin Dragon fight. 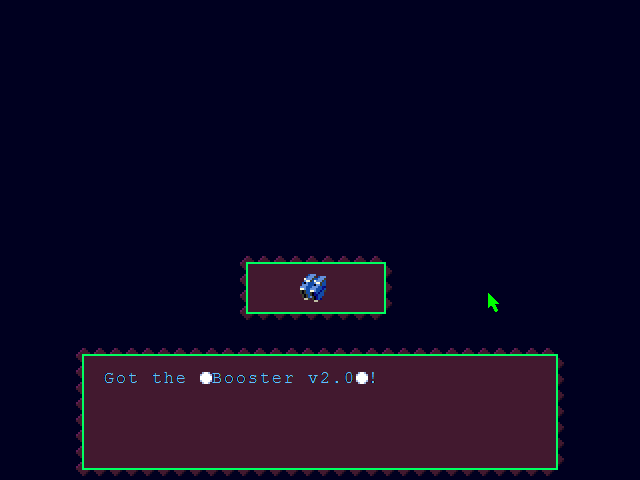 The Booster v0.8 should be offered to you after beating Monster X. If you refused to take the Booster v0.8, you should get the Booster v2.0 after Ironhead. And I just tested Case 2, it's working perfectly. Did you interact with the first door in the Intermission? Because I may or may not have left a devskip there. Well, there's your problem. It was my fault all along! I think I messed up too. It was before the Misery fight. Well... Try the new version, see if it's fixed. I'm already playing on the newest version. My pc also considers it a virus. It isn't right? False positive. Stop using Avast.